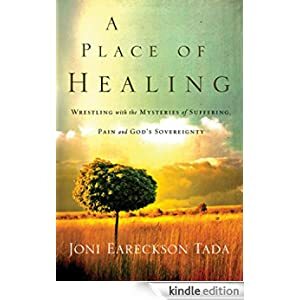 In this eloquent account of her current struggle with physical pain, Joni Eareckson Tada offers her perspective on divine healing, God’s purposes, and what it means to live with joy. Over four decades ago, a diving accident left Joni a quadriplegic. Today, she faces a new battle: unrelenting pain. The ongoing urgency of this season in her life has caused Joni to return to foundational questions about suffering and God’s will. A Place of Healing is not an ivory-tower treatise on suffering. It’s an intimate look into the life of a mature woman of God. Buy this book today for only 91p.